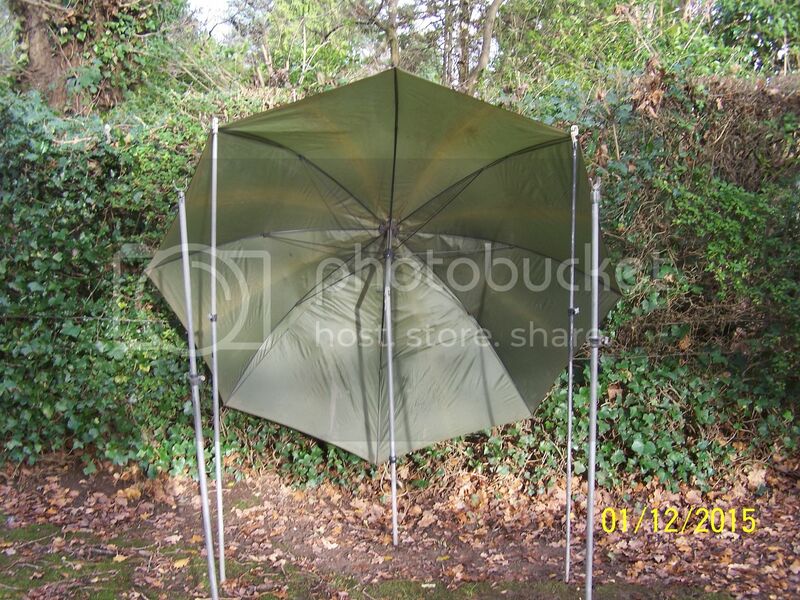 I've been requested to show my hide set up minus the hide, so here goes, the brolly centre spike is pushed into the ground firmly and the height adjusted. I'm just under six foot so I've set it so I can step back under it for this demonstration. The two side supports are positioned so they can be hooked onto the ribs of the brolly with the hooks protruding so you can hold them in position with the hide net wrapped around it. The two front poles are positioned so you can step forward to shoot from under the brolly, these can be supported by guy ropes if required to put tension on the set up with the centre guy rope of the brolly secured at the rear. The side support hooks are made from old line prop end that have been drilled and tapped the 3/8 BSF to fit the thread of the five foot extending fishing rod rest poles or storn side poles . Stormside adaptors could be fitted but I believe in " Make and Mend"
I hope this helps to explain the set up. A useful post PC, thanks for sharing your secrets with us. Have you ever used this set up as a field [stand alone] hide or do you only use it against a background? It works well in the centre of fields you just have to stake the centre of the brolly down well. If you see my post. " Early Morning Crows" that was set up between fields on a wire fence. Thanks for that i can now go ahead and get myself a new brolly as the one I've got is about knackered.. These might provide a better solution to connecting the pole to the brolly. 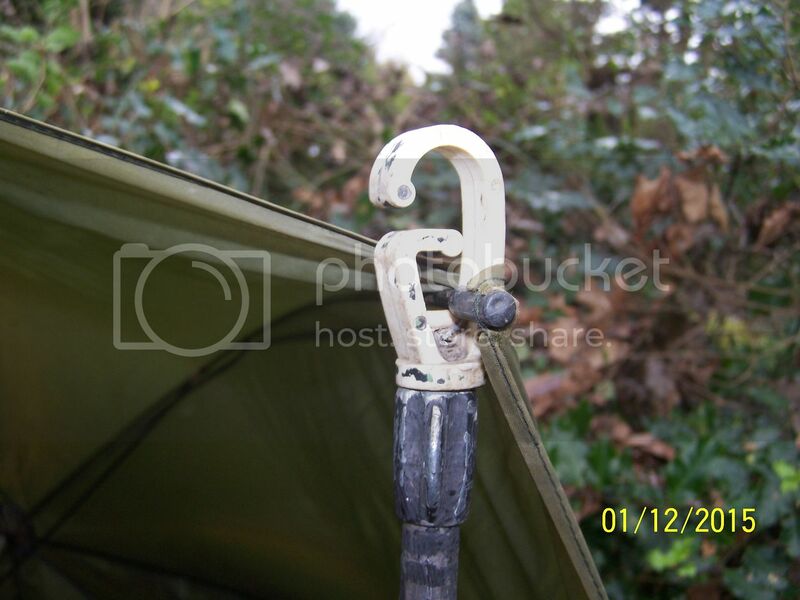 As I said in the text you can use storm caps but I've found that the hide keeps slipping off the edge of the brolly but with the hooks in enables you too wrap it round and hold it in position in high winds. Thanks for the reply. So you did, I missed that and true enough the hooks would allow the net to be hung from them. Not sure from the advert if it has a tilt mechanism. The storm sides would be useful to stop rain coming in from the base . 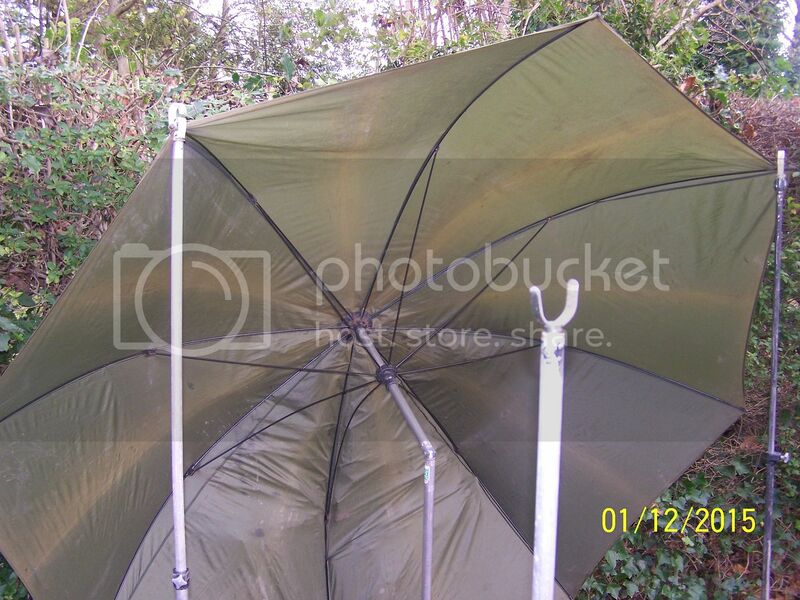 I have a storm brolly for my fishing exploits and this does not tilt but has the provision to remove the centre pole so you can put bedchair under it. I would contact the seller and ask if it has a tilt . 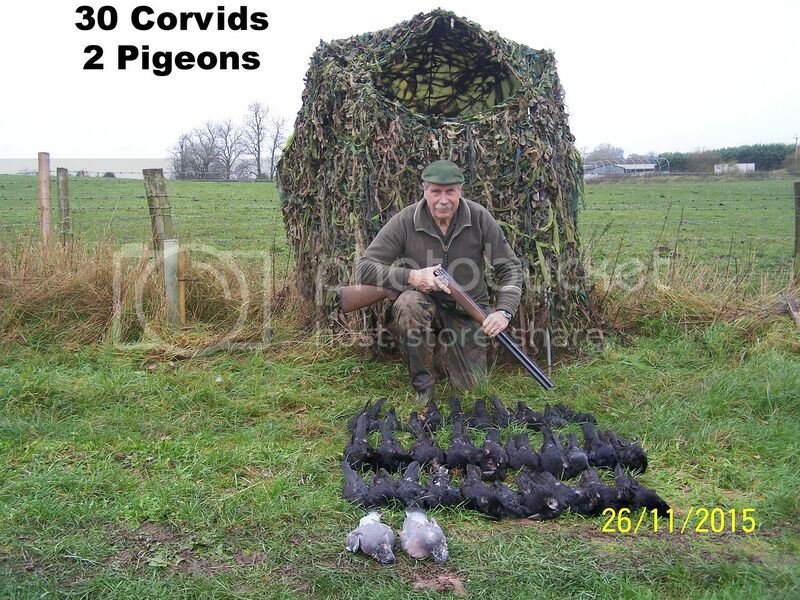 Great post .. l've used a brolley as the foundations of a hide ..
Having used a Fishing umbrella today, I am a convert. Warm, dry, and easy to set up. Mine is the type that has no centre pole but has 2 side poles to support. 50" Camo for about £20. Bargain. Thanks for the tip. Have you got a link for this ? Currently on offer for £16! perfect, ordered that. Christmas treat ! The link didn't work at first for me, anyone else needs it, if you click 'quote' the link comes up in full and works. I'm glad the post helped. Cannot get this sight says its no longer available. Still working for me. Search The Sports HQ then look under Fishing umbrellas and Shelters. I just put my order in for one of these also. Xmas treat as said before. I also fish occasionally so has multiple uses. This arrived next day, it looks to be good quality and is big enough at the 50inches, perfect with a net in the front. There's enough space to sit in there out of the elements. Cheers to the OP for idea and Hamish for the product. Click on the picture for a bigger view, its come out the wrong way around, seems that image site is a bit ****..